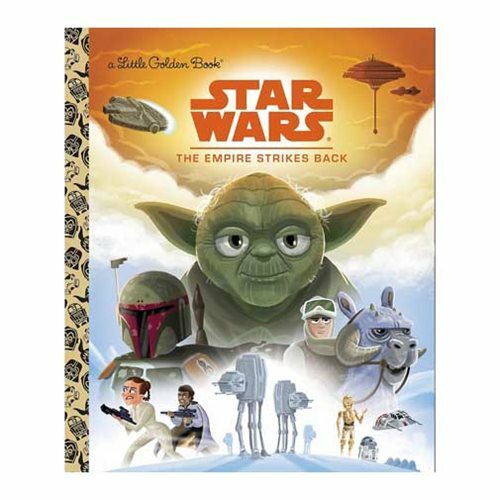 The epic space saga, Star Wars: The Empire Strikes Back, is finally retold in the iconic Little Golden Book format! After the destruction of the Death Star, the Empire has regrouped—with Darth Vader leading the hunt for Luke Skywalker. Featuring stunning retro illustrations, the Star Wars: Episode V - The Empire Strikes Back Little Golden Book is perfect for Star Wars—and Little Golden Book—fans of all ages! The 24 page book measures 8-inches tall x 6 3/5-inches wide. Ages 4 and up.